A state-of-the-art technology developed by an expert from Hong Kong allows drug screening and discovery using a human heart-in-a-jar with genetic and immunologic make-up identical to the individual source. 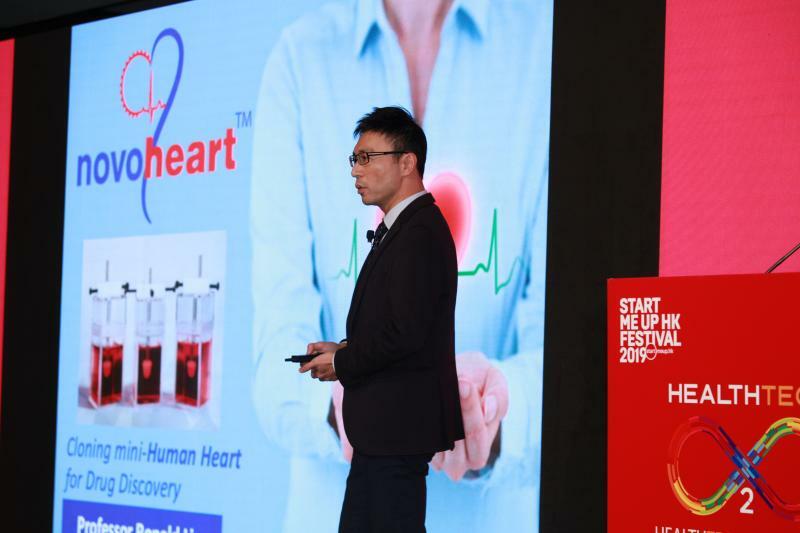 “From two drops of blood and with a waiting time of approximately 16 days, we would be able to produce jars of contractile mini-hearts which are genetically and immunologically identical to the source of the blood,” said Professor Ronald Li, CEO and founder of Novoheart and Director and Professor for the Karolinska Institute Ming Wai Lau Centre for Reparative Medicine, Hong Kong. The platform, called MyHeartTM, begins by converting mononucleated cells into induced pluripotent stem cells (iPSCs) through the process of reprogramming. The group is the first globally to generate genetically engineered human heart cells and construct mini-hearts from these cells. “We basically instruct these stem cells to transform into billions of heart cells in specially designed bioreactors,” added Li. The MyHeartTM platform can be used to create normal and diseased hearts from different ethnic groups, and is currently applicable for drug screening and drug discovery. The MyHeartTM team proposes using manufactured hearts instead of animals to reduce the time and cost and improve the success rate of drug testing. A proprietary hardware and software, which allow for scalability while increasing cost-effectiveness, have also been developed alongside the platform. “We are also part of the comprehensive in vitro proarrhythmia assay initiative launched in 2013 by the US FDA and the Health and Environmental Sciences Institute, which aims to develop a standardized mechanistic approach to more accurately detect drug-induced arrhythmias in the drug screening process,” Li said. Apart from making healthy hearts for testing drug cardiotoxicity, Novoheart also produces diseased hearts such as hearts with dilated cardiomyopathy, arrhythmias and heart failure, which can be used to test a drug’s therapeutic effect. The company also produces pipelines of probable drug candidates and uses the MyHeartTM platform for testing these drug candidates. “In the future, we envision the production of engineered personalized heart tissues to cure heart diseases. For example, if you had an MI, your heart will not go back to its normal structure and function. Our technology will help replace and replenish diseased heart cells with new ones,” Li said. Novoheart was founded by Li along with a team of international experts in 2015. The company was listed at the Toronto Stock Exchange in 2017, with offices currently in California, Vancouver and Hong Kong.